Feeling like you’ve lost a little pep in your step lately? 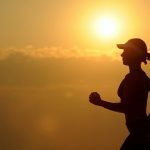 Not feeling like running (but you know you need to) or afraid that life has just gotten so busy, you’re struggling to make your daily run happen at all? If any of the above applies to you, the answer is simple: a running group can make all of the difference, and we’ve got four reasons why. It’s easy to skip a run when you’d rather be enjoying a leisurely breakfast, or catching up on your favorite Netflix shows. It’s even easier to skip a run when no one’s waiting for you to show up. 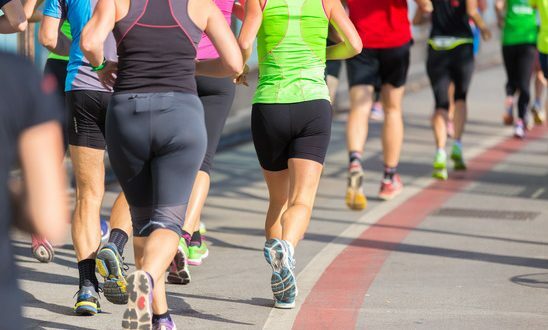 Joining a runner’ group (or even just having a devoted running buddy) can make a huge difference on your progress as a runner. You know how it feels…you show up to the gym after a long (and stressful) day of work, start running on that treadmill and it’s a struggle to get your head in the game. But, when you are part of a group and you walk up to a handful of other runners (who are all part of the same activity you are), you can get re-energized by their collective energy, dedication and commitment. Really feeling the struggle to keep up with your running game? Join or create a runner’s group to train for an upcoming charity marathon. That way, no matter what kind of cure you’re running to support, you can do it while feeling great about giving back. Unless you’re one of the rare few that has the motivation to push yourself week after week (and let’s face it, that’s almost impossible to do), a runner’s group can provide an awesome benefit…a competitive edge! Run with a group that contains a variety of runners (from amateur to experienced). That way, you can benefit from the more experienced runners by inspiring you to ‘up your game’ or simply motivate the amateurs to run as well as you do. Running may be more of a solidary sport, but that doesn’t take away from the fact that deep down (as all humans do) you crave connection and comradery. One of the great things about running with others is that you’re not just running—you have the added benefit of laughing, connecting, joking around and bonding through the sport of running. It’s a win/win, and a great way to perform at your best. After all, you’ve got others rooting for you every step of the way! Being part of a runner’s group can allow you to build a sense of community, share what you’ve learned (and become motivated by other’s progress) and be part of an energetic, healthy activity that everyone takes something away from. Got a Setback? We’ll Show You How to Turn It Into Success!